Unique Batching Tools – automates 80-90% of the texturing work by replicating texturing templates on a collection of meshes. Bitmap Painting System – allows users to do retakes on images, and polish the surface art of their textures with 2D painting tools. Advanced Filter Library – slims the time it takes to get to a professional-grade texture with hundreds of predefined substances and filters. 4K working environment – bake your outputs at higher resolutions. What about B2M 1.6 bitmap2material, any chance of getting this? 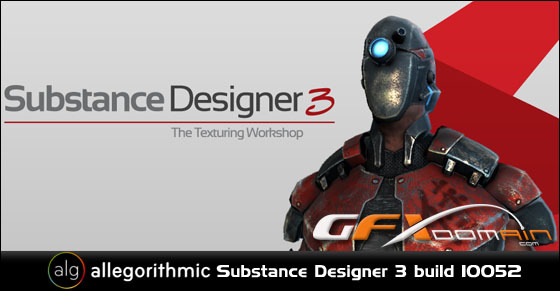 it is also by allegorithmic..
Hi Joe, send me your email, I have B2M but I don’t know the version I have. And the Substance Path don’t work in Windows 7 x64, someone have a try? hi guys, the crack dos´nt work with the 64bit version !! get a message:”can´t patch….”. the crack is in th emain install directory ! maybe a tip what is wrong ?